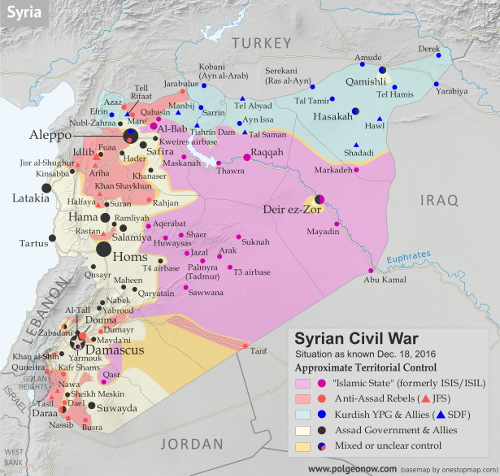 There are newer versions of this map available. To see them, view all Somalia articles on PolGeoNow. Since the beginning of the year, Somalia's federal government and its allies have made some major breakthroughs in the war to take back the country from Al Shabaab, Somalia's local branch of Al Qaeda. 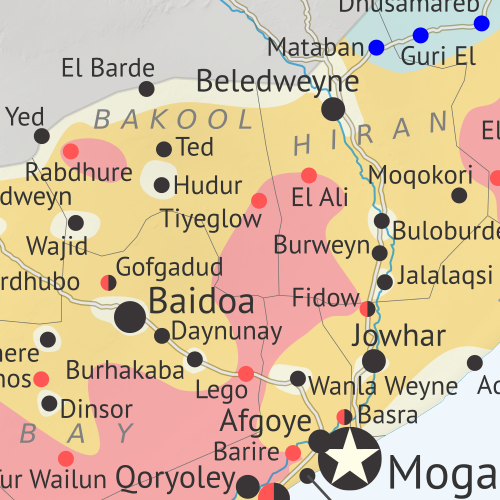 This is the third installment in our series of Al Shabaab control maps, marking territorial changes since our last Somalia map update in December 2012. 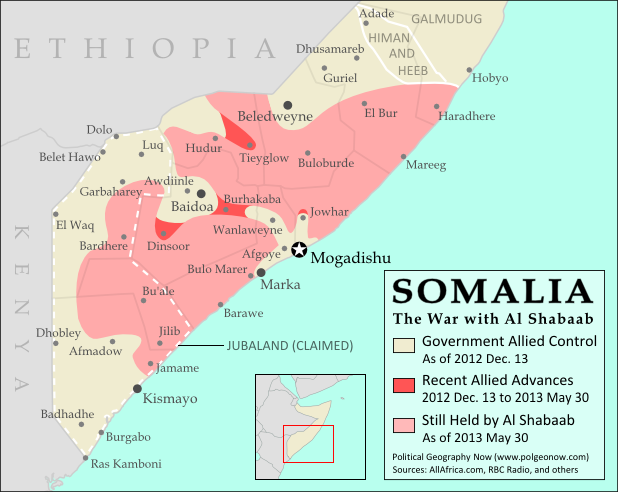 Southern Somalia: recent government-allied advances in the war against Al Shabaab. Original map by Evan Centanni. Incorporates elements from this blank map by Eric Gaba and this locator map by TheEmirr. (license: CC BY-SA). After news came in of the Somali Federal Government and its allies completing their control of southern Somalia's major cities last fall, further progress against the Al Qaeda affiliate group Al Shabaab at first made only slow progress. But since the beginning of this year, at least one major breakthrough has been made. 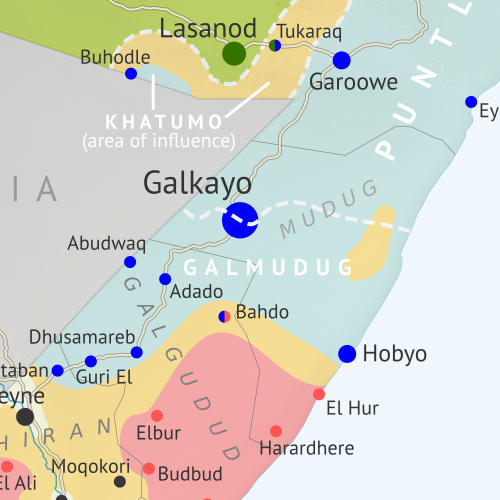 Al Shabaab, Somalia's local branch of Al Qaeda, has continued to gradually lose territory since government-allied forces captured its main stronghold two months ago. 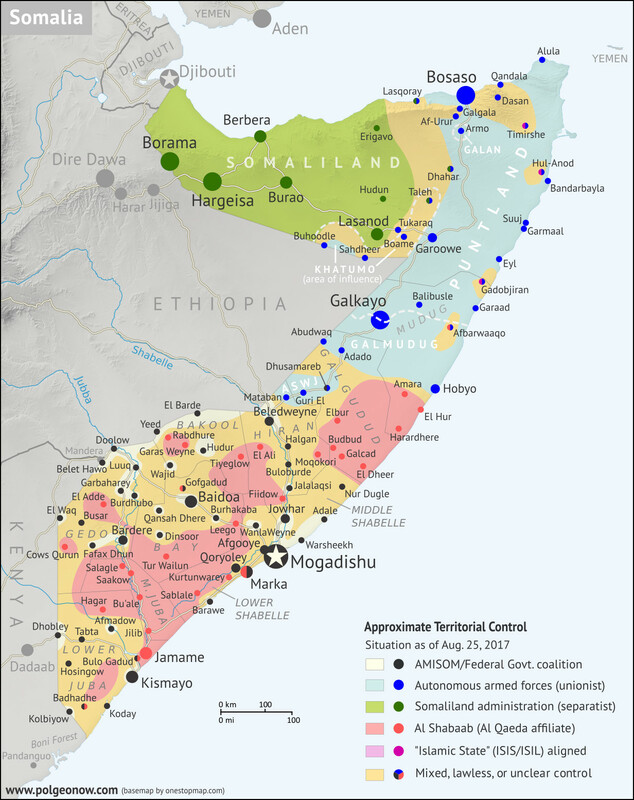 As a follow-up to our October feature on the two-year retreat of Al Shabaab, we now present the latest changes to the map of control in southern Somalia. 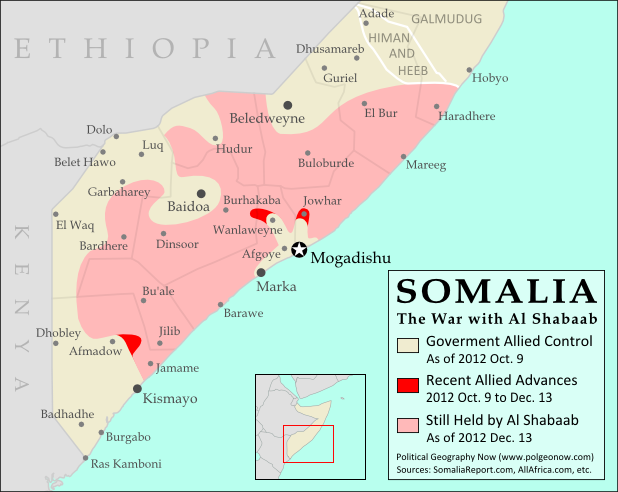 Southern Somalia: recent government-allied advances against Al Shabaab. Original map by Evan Centanni. Incorporates elements from this blank map by Eric Gaba and this locator map by TheEmirr. (license: CC BY-SA). Somalia's Islamic extremist militia, Al Shabaab, was greatly weakened when its biggest port and de facto capital of Kismayo was taken by government-allied African Union (AU) forces in October (See: The Retreat of Al Shabaab). 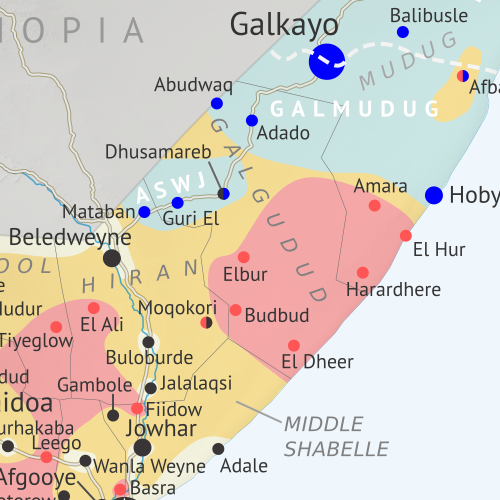 However, it still controls a significant amount of territory, and the Somali and AU forces' advance has been slow, with their first major territorial gain acheived only this past weekend. One year ago, Kenya and Ethiopia invaded Somalia to end the rule of Al Shabaab, an Al Qaeda allied extremist group which had taken over the southern half of the country. This map and article are your guide to the militants' slow but steady retreat, culminating in last week's capture of the port city of Kismayo. 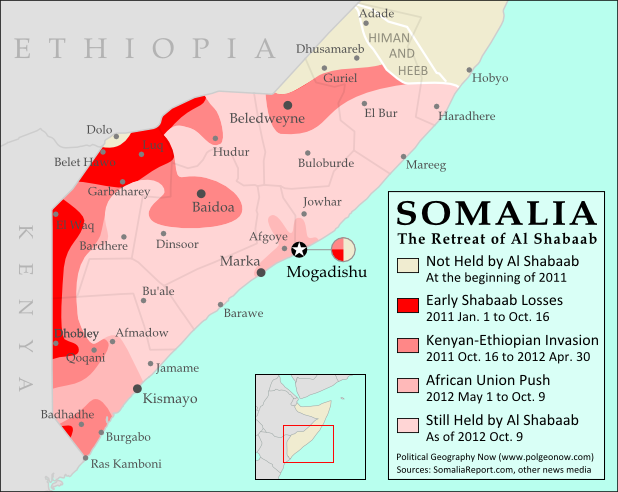 The retreat of the Al Shabaab Islamist militant group in Somalia since 2011. Original map by Evan Centanni. Incorporates elements from this blank map by Eric Gaba and this locator map by TheEmirr. (license: CC BY-SA). Located at the tip of East Africa's "Horn", Somalia has been wracked by chaos and violence since the fall of its last effective national government in 1991. While the northern Somaliland and Puntland regions formed autonomous governments, central and southern Somalia were ruled for many years by a patchwork of local warlords.